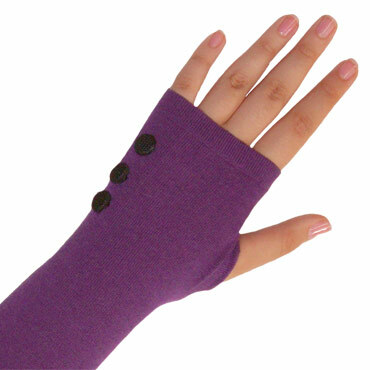 Zazou classic fingerless glove in soft knit acrylic with three-button detail. Mid-forearm length in an array of wearable colors. This useful and fashionable item is the little accessory that could - continuing to be one of our top sellers. Handwash cold, dry flat or dry clean. 100% Acrylic.